(MCT)—We are now officially in the peak spring home buying-season. I was asked the other day for advice on what should be at the top of the list for homeowners after they move into their new home. That was an easy question to answer. My No. 1 piece of advice for recent homebuyers is to switch from the traditional monthly mortgage payments to either weekly or bi-weekly payments. Why? Because it’s the least painful, simplest way I know to shave approximately four years off the life of a traditional 30-year fixed rate mortgage. Here’s what you need to do. 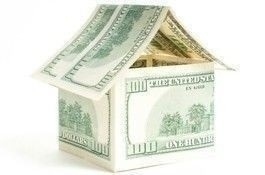 First, contact your mortgage lender to set up automatic withdrawals from your bank account for your mortgage payments. While you could theoretically achieve the same result by mailing in your payments, the vast majority of people won’t have the discipline to stick to this alternate payment schedule if it’s not set up as an automatic withdrawal. Next, ask your lender to establish a payment every two weeks. Take your monthly mortgage payment and divide it by two to come up with your payment amount. For example, if your mortgage payment is $1,000 a month, your payment should be $500 every two weeks. You could also establish weekly payments instead, which would be $250 a week instead of a $1,000 monthly payment. This simple change in your payment schedule will cut approximately four years off of a traditional 30-year fixed rate mortgage. Check with your mortgage lender for an exact calculation of the reduction in years based on your individual circumstances. Tom Reddin, former president of LendingTree, writes for the Charlotte Observer about mortgages and home ownership. A version of this column previously appeared on his blog, MortgageRates.us. He runs Red Dog Ventures, a venture capital and advisory firm for early-stage digital companies.